Today I asked Ray to go on a date with me for lunch. 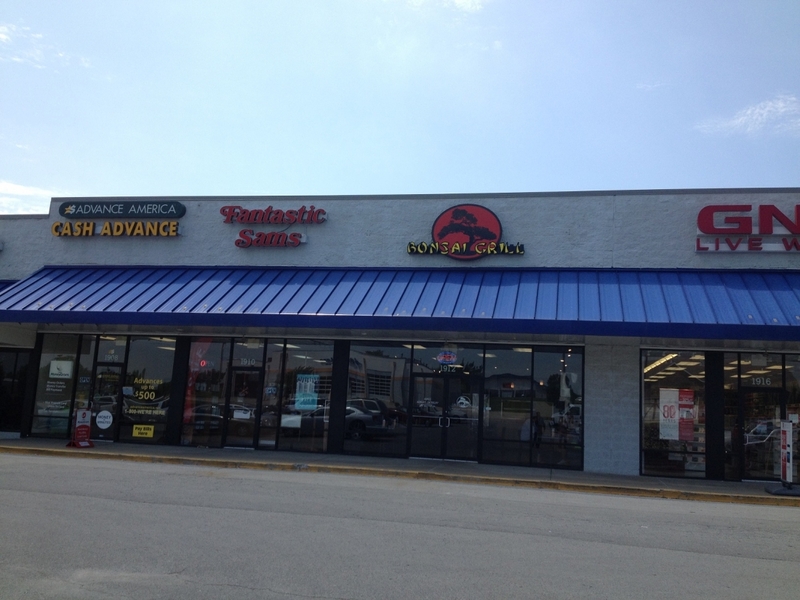 I’d planned for us to eat in town, but Ray suggested the Bonsai Grill restaurant in Harrisonville, MO, which his friends Matt and Kelley suggested. While it’s not traditional Japanese hibachi cooking (which was traditionally only used by the samurai and aristocrats), it was still good. 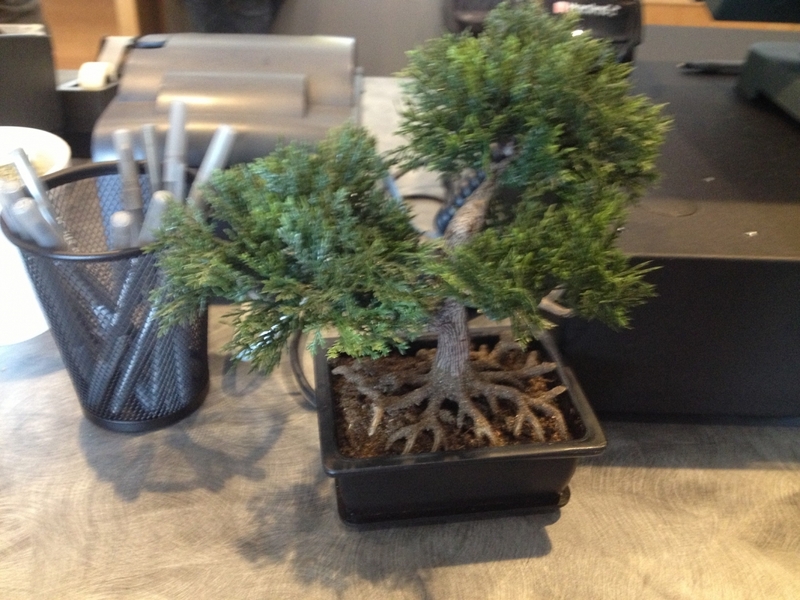 One of the first things I noticed as I walked in were the cute bonsai trees. Now I want one. Ray said I can order authentic ones from North Little Rock, AR, where his dad Charles and his stepmom Sue live. 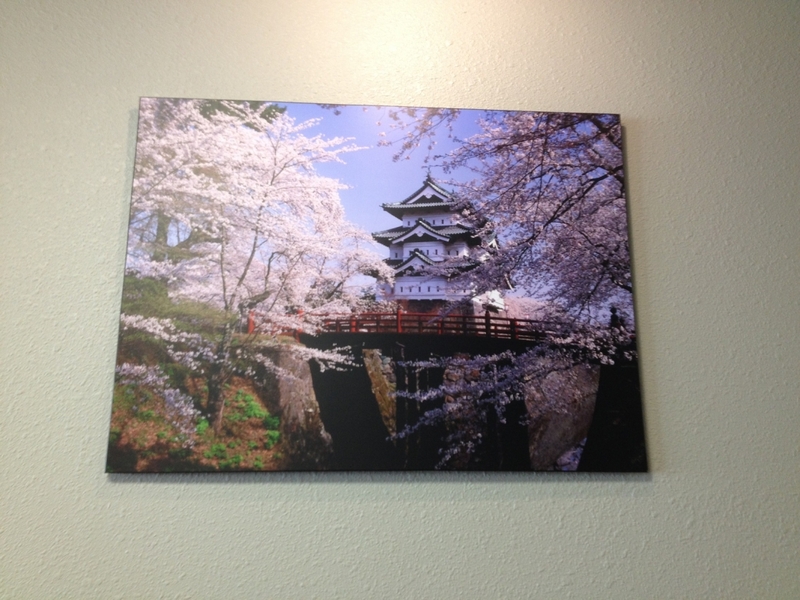 They also had a bigger one in the back of the restaurant by some pretty floral pics. I liked some of the other art work on the walls, too. This tree is called the delicate pink sakura, or cherry blossom tree. They blossom throughout Japan every spring. 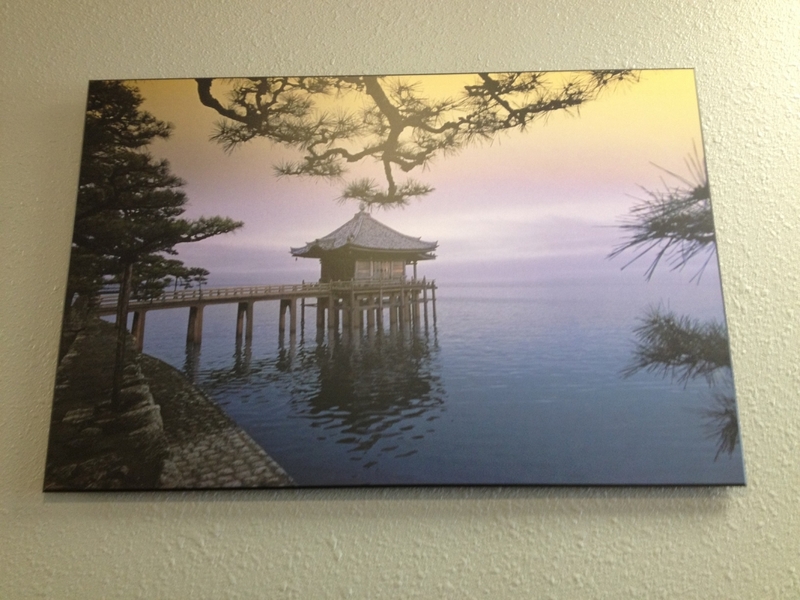 Below is their picture of a Japanese style house on a lakefront setting. I’d love to stay in this Japanese style house on a lake in Maine, featured in Better Homes and Garden. I love all the open spaces in the house. It looks very peaceful and inviting. 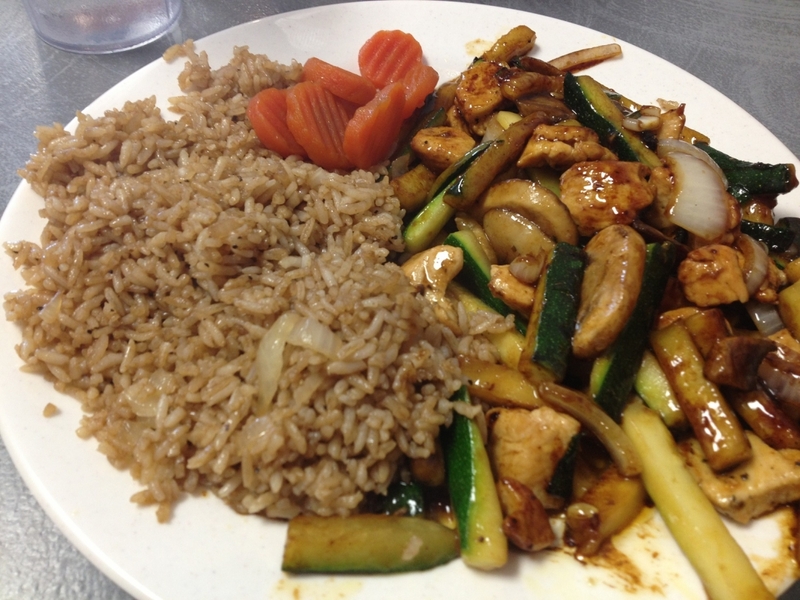 Ray ordered the hibachi shrimp and I ordered the hibachi chicken. Both came with veggies and fried rice. We ate it with our chopsticks, which is always fun. I only tasted a little of the rice, since I’ve radically changed my lifestyle, avoiding rice, potatoes, and sweets for the most part. 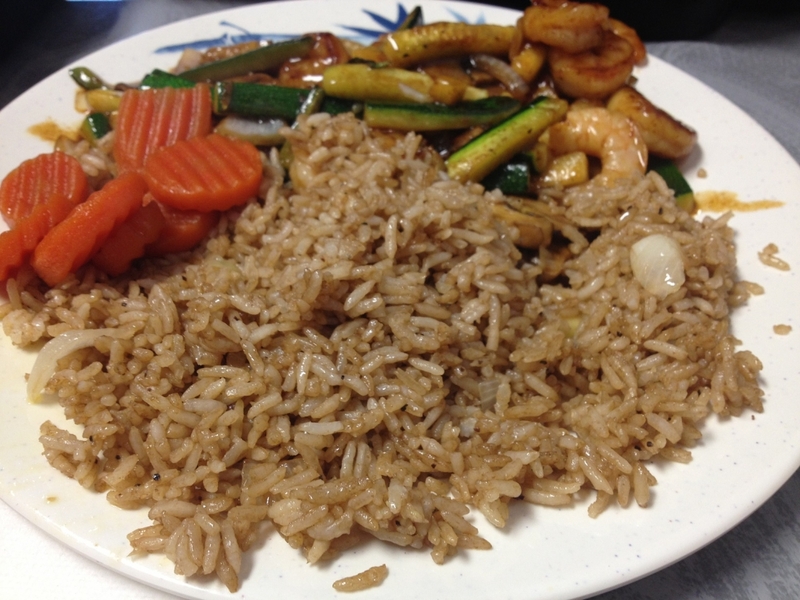 When one of the restaurant’s partners came over to say hello to us, seeing that it was our first time there (which I thought was impressive customer service), he asked if something was wrong with the rice! Of course, I told him no…I wanted to eat it really bad! The restaurant offers something unique that I’d never tasted before called yum yum. 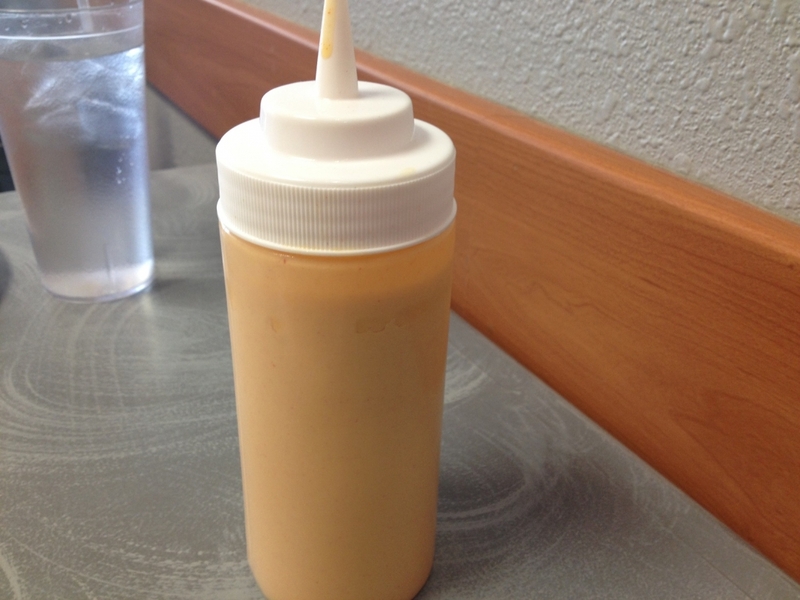 It’s a mayonnaise-based sauce (it seems to have mustard in it, too), and it is indeed YUMMY! The partner said he puts it on everything, including the rice. I can see why! Sometimes I think I should be a food writer/blogger. Wouldn’t it be nice to go around eating at different restaurants, sampling a variety of delicious foods? 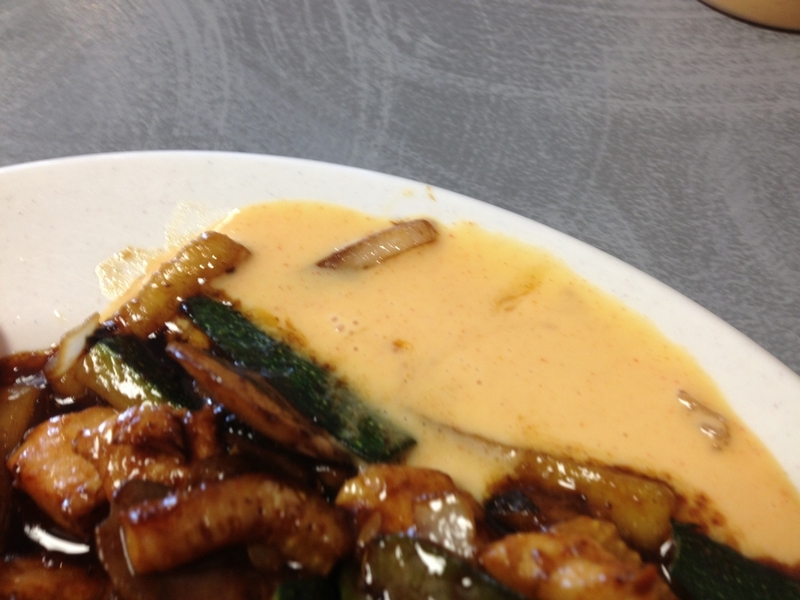 Nevertheless, I slathered the yum yum sauce all over the chicken, veggies, and the little bit of rice I ate. This was the best part of the meal to me, other than the seeing the cute bonsai trees and taking pics for my blog. When I told Ray that I was taking pictures for my blog, he joked that he would’ve guessed. Then he said if I did not take pics, he would’ve taken me to the emergency room for something being very wrong with me. Ray knows that I love to travel and go different places, take lots of pics, and then share about the traveling and the pics in my speaking and writing. Below is a pic of Ray looking like he’s going to fall asleep at the table. Every time I’d talk (which is a LOT! ), his eyes would start to half close, except when I began talking about the genres of fantasy and thriller in fiction books, and except when we were discussing his country music singer friend, Daron Norwood, only 49 years old, who tragically was just found dead in his apartment from unknown causes.This just breaks my heart! Ray hasn’t talked to him or seen him in a couple of years, but it was still a shock to him when he read about it on Fox News. He visited him at his home a couple years ago in Florida. I loved Daron’s version of Sweet Home Alabama, which you can view and hear on YouTube here. Please pray for Daron’s family and friends. Ray had a long, rough shift at work yesterday with a traumatic call. Hopefully he’ll get more sleep tonight. 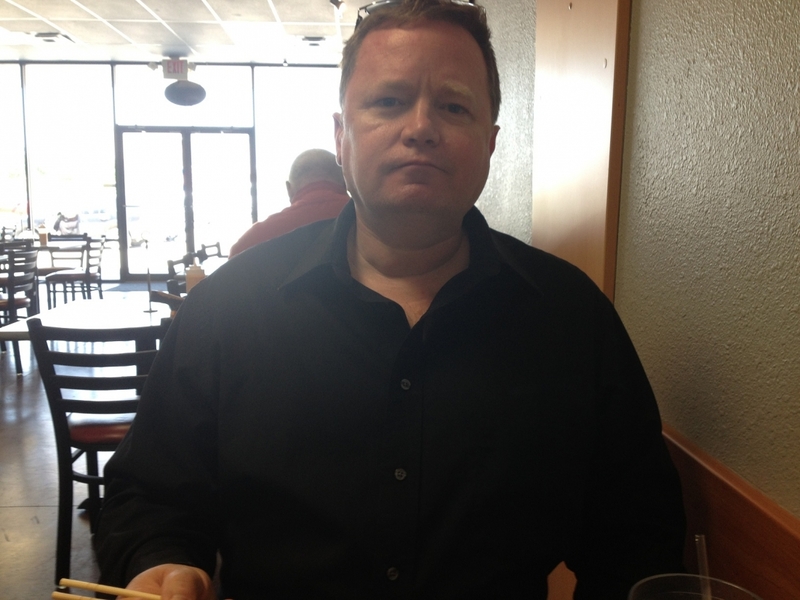 Below here I am, enjoying our date at the Bonsai Grill. 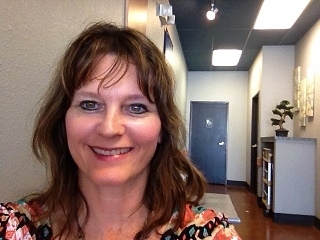 You can see the larger bonsai tree in the background. I kept obsessing over wanting to take one of the trees home with us, like a stray kitten. The Japanese are such a creative, artsy people. 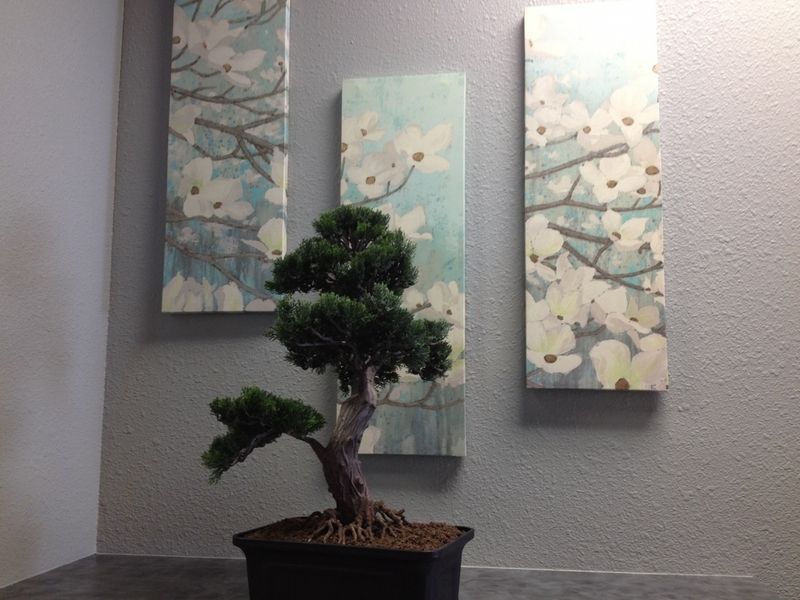 The Bonsai tree is a Japanese art, using miniature trees in containers. The tradition dates back to thousands of years. It originated from the Chinese tradition of penjing (depicting artistically formed trees, plants, and landscapes in miniature). Traditionally, the purposes of the bonsai are primarily for contemplation (for the viewer) and the bonsai grower’s effort and ingenuity. Initially, the Japanese used it to decorate their homes and gardens, then it became an art taught by masters. It is something so valued that it is cared for every day of its life, like God our Father cares daily for you and me. Bonsais were displayed in palaces by emperors. Eventually, Japanese immigrants brought them to the US. A story of a bonsai tells of a councilor to the shogun, and one of his favorite trees was thrown away in the garden to dissuade him from spending so much time on the trees. Despite the servant’s efforts, he never gave up his beloved art form. What, or who, is that important in your life?